The system boosted its overall rating by more than 15 points in just one quarter. Carroll Hospital has lifted its Hospital Consumer Assessment of Healthcare Providers and Systems “Overall Rating of the Hospital” score from 61.0 up to 76.5 in just four months. Other hospitals looking to up their HCAHPS scores might consider a formula similar to Carroll Hospital: Integrating the rounding tool with its EHR to make nurses more effective at the point of care. Carroll Hospital had a nurse rounding program that took too long to complete because of manual processes. Labor-intensive inputting and review of data, specifically, were making workflow more difficult, according to chief nursing officer Stephanie Reid. So the 179-bed acute care hospital in Westminster, Maryland, part of the LifeBridge Health system, launched a system that enables clinicians to perform rounds on a tablet at the patient’s bedside in February of 2017. It began with integrating all digital rounding tools, in this case GetWellNetwork’s GetWellRounds+ software into its McKesson Paragon EHR. Nurses can log into the system from any mobile or desktop device or patient kiosk to access checklists, audits, survey, reporting, trending and benchmarking tools. The nurse rounding software also can send text and e-mail alerts to care teams on each unit for enhanced service. Further, the system is being used as a management tool for clinical supervisors to monitor rounds, looking at data during select shifts and comparing success to other units’ metrics. 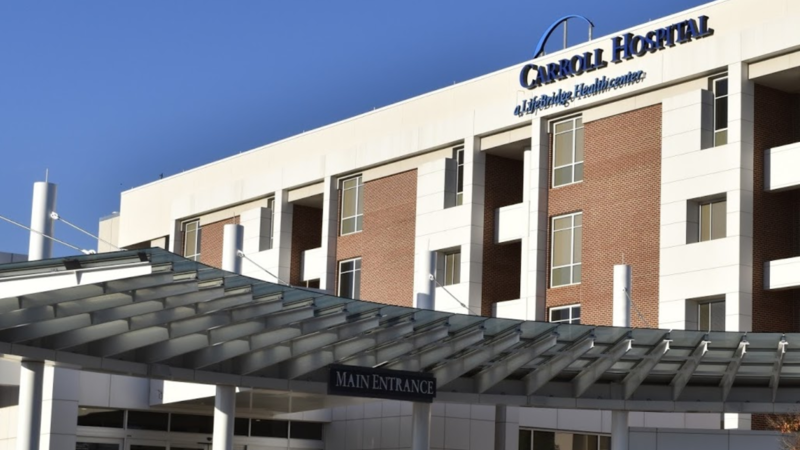 Integrating the nurse rounding tool enables Carroll Hospital to streamline data entry. With more current rounding information, clinical teams can better monitor patients to prioritize individual needs in efforts to improve care. Whereas Carroll Hospital opted for McKesson Paragon and GetWellNetwork software, hospitals considering integrating nurse rounding tools into their EHR have other options. Carroll, in fact, is planning to migrate from McKesson to Cerner in early 2018. Other nurse rounding IT options include iRound from Advisory Board, Synapse Wireless, MyRounding from Huron Consulting Group. And Rounds from Vocera. Carroll, for its part, is planning to migrate from McKesson to Cerner in early 2018. To further improve the experience and quality of care, Carroll Hospital created standard nurse leader rounding questions to secure patient and family feedback. The results have been used to create and implement improvements to patient care and other hospital services, Reid said. “We have partnered with our Patient Experience Team to assist in defining our priority areas on each nursing unit so that patients are asked rounding questions specific to each unit’s improvement areas,” Reid said. While the overall rating was the biggest leap between scores, Carroll Hospital also saw more HCAHPS improvements: ease of communication with nurses, 76.8 to 81.9; patients felt that nurses listened carefully, 73.2 to 77.8; clinical staff helped to relieve pain, 69.7 to 78.6; and patients felt proper discharge instructions were given, 82.8 to 86.8. The system has done more than improve nurse rounding at Carroll Hospital, Reid added, it has given clinicians the tools needed to improve the way patient and family feedback is gathered.